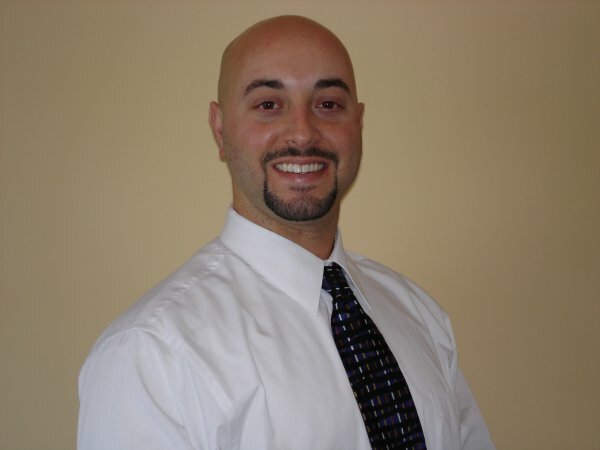 Dr. Bryan Berger graduated from Montclair State University in 1998 with a Bachelor’s Degree in Nutrition. He continued his education and received his doctorate in Chiropractic from Life University in Marietta, Georgia in 2002. Dr. Berger has been involved in fitness for 23 years and became certified in fitness training in 1997. Previous personal training experience includes: Powerhouse, New York Sports Club and Crunch Fitness. After being an Associate Doctor for 4 years in a successful multi-disciplinary practice, Dr. Berger decided to create The Innovative Wellness Center, PC located in Jamesburg, NJ in 2007. The Innovative Wellness Center focuses on the innate healing power that we all possess by offering a wide array of health and wellness services. In 2009 the Innovative Wellness Center expanded with the addition of Acupuncture services. In 2012 the Innovative Wellness Center expanded again with the addition of Physical Therapy services. Dr. Berger strives to help as many people as possible maximize their health potential through a combination of innovative techniques utilizing Chiropractic, Acupuncture, Fitness, Massage, Physical Therapy and Nutrition Education. Born and raised in Korea, Mr. Lee was steeped in Oriental healing culture and witnessed his father practicing Oriental medicine in their clinic at home. In his mid-twenties he was blessed to meet two exceptional spiritual masters, who taught him chi and chi meditation, martial arts, Taoism, and Buddhist philosophy. Their teachings made him appreciate the value of the medicine his father offered, and inspired and encouraged his interest in becoming a healer. In 1995, he received his Master’s Degree at Samra University of Oriental Medicine in L.A. and got the CA Acupuncturist license and the certificate of NCCAOM. He then went on to Korea to study Byungin Herbology, Korean Saam Acupuncture, Dongshi Acupuncture, and Korean Hand Acupuncture. He has been a licensed O.M.D. for over 20 years and successfully helped thousands of patients to heal through acupuncture, oriental herbal medicine, and other holistic therapies. He has acquired many skills and developed the expertise in treating a wide variety of painful conditions, digestive disorders, immune system weakness, and female reproductive concerns and mental disease like depression, insomnia, and anxiety. One of the aspects of his clinical practice is that he most enjoys is educating his patients on how to improve their health and prevent illness. He believes that a primary responsibility of a healer is to be a teacher to patients. Mr. Lee understands that each patient is unique and he will tailor each patient's treatment to their specific condition. He specializes in gentle acupuncture. Every patient will be treated with the utmost respect and focus. His goal is to provide thoughtful and compassionate care while empowering his patients to live healthier lives. Michele Berger, RD graduated from Montclair State University in 1999 with a Bachelor's degree in Dietetics. She continued her education participating in a competitive nine month internship in a clinical, outpatient and food service setting. She began her experience as a clinical Registered Dietitian at Virtua Health hospital system in Southern New Jersey for three years. She then transferred to the outpatient setting and designed a medically based weight loss center for the hospital. In 2003 she completed all requirements and became nationally certified in adult weight management. After moving to Central New Jersey in 2005 she continued her experience by joining the Family Medicine Residency Practice for CentraState hospital system.In 2006 she decided to create Nutrition Solutions, LLC located in the Innovative Wellness Center and offer a broad spectrum of nutrition services to the community. Nutrition Solutions offers weight loss and nutrition education programs based on Medgem metabolism testing and Body Composition analysis. In 2007 Michele completed all requirements and became nationally certified in adolescent weight management. Due to high demand, in 2009 Nutrition Solutions expanded with the addition of a second location in Elite fitness & sports located in Manalapan. Valerie Bottega graduated from California State University at Northridge with a Bachelor's of Science degree in Dietetics and Nutrition. Following that she completed her intensive internship at Los Angeles County USC Medical Center. She then worked at the LiteLife Program at St Luke's Medical Center in Pasadena, CA. There, Valerie worked as the coordinator of a weight loss program which offered both traditional and therapeutic weight loss through counseling as well as gastroplasty for eligible clients. In 1988 she began a 5 year stay at University Hospital at Stony Brook. While affording her a broad base of both in-patients and out-patients to work with, from pediatric to geriatric, her primary focus was working with the Diabetes Treatment Unit and the endocrinology team. Valerie developed a strong interest in working with individuals with diabetes. This passion led her to become a Certified Diabetes Educator. Valerie embarked on a 4 year job experience working for Bristol Myers-Squibb as a sales representative for their nutritional product line. For the past 15 years she has been in private practice allowing her to offer nutrition services to a wide variety of individuals. In addition to maintaining her CDE certification, Valerie completed requirements in 2011 to become certified in adolescent weight management. Jessica is a graduate of Institute for Therapeutic Massage in Tinton Falls where she had extensive training and gained clinical experience to successfully commence her career as a licensed massage therapist. She specializes in multiple massage modalities such as: Swedish , modified Swedish for cancer survivors, deep tissue, medical (myofascial release and trigger point therapy), hot stone massage, and sports massage. She is also a Reiki practitioner in Usui and Tibetan reiki. Jessica is passionate about her career and has a positive outlook on the benefits of massage therapy. She finds it exciting when it comes to seeing and feeling how the human body is receptive to touch, especially a healing touch. She strongly believes in healing oneself and stresses the importance of taking care our mind, body, and spirit. Infusing her work with positivity, she enjoys how receptive her clients are to massage and the different modalities it has to offer. She has her mind set to keep expanding and continually learns to offer the best to clients and is excited to see where this journey leads her to in the future. Denise has graduated from the Institute for Massage Therapy- Red Bank, NJ campus in 2009. She is proficient in Swedish, Deep Tissue, Foot Relexology, Reiki, Myofascial and Medical massage modalities. She has also studied Myofascial Release at the American Institute of Alternative Medicine. She is happy to be part of the team here at Innovative Wellness as she enjoys helping others through massage therapy.When not working as a therapist, you can find her on stage- as performing in musical theater is her true passion. Prema graduated as a Licensed Massage Therapist from the School of Integrative Therapies in 2009. She then continued her training and graduated as a Registered Yoga Teacher in 2010. She became certified as an Ayurvedic Yoga Specialist from the Himalayan Institute in 2014. She has received certifications from Kripalu in Strockbridge, Mass. in 2013 in the following Ayurvedic body treatments: Abhyanga, Vishesh , Shirodhara and Shiro-Abhyanga-Nasa . In 2015, she will be furthering her studies in the Ayurvedic theories and developing her skills in clinical practice with individuals at the Himalayan Institute. “I believe that in order to obtain optimal health and healing, we must balance our body, mind and spirit. The combination of Yoga and Ayurveda provides us with that balance and a wholesome foundation”. Besides her studies in Ayurveda, she has also received certifications in Prenatal massage, Lomi Lomi, Thai Massage 1, Reiki Level 1, Reflexology, Hot Stone Massage, Positional Release Techniques and Functional Integrative Therapy. Aneta graduated from Cortiva Institute - Hoboken NJ campus in 2013 along with extended professional massage program in 2014. She specializes in techniques like: Swedish, Deep Tissue, Sports and Chair Massage, Trigger Point Therapy, Hydrotherapy, Myofacial Therapy, Neuro – muscular Therapy, Orthopedic Stretches, Shiatsu, Thai Massage, Hot Stone Massage and Massage for Migraines.